Local playground designer Mark Jones and New World Park Solution Inc has been selected to design, supply and install the accessible and inclusive playground at the Farrow Riverside Miracle Park. “We are excited to build this playground. It has so many unique elements that it will be a destination for families, where all kids can have fun together, regardless of ability. 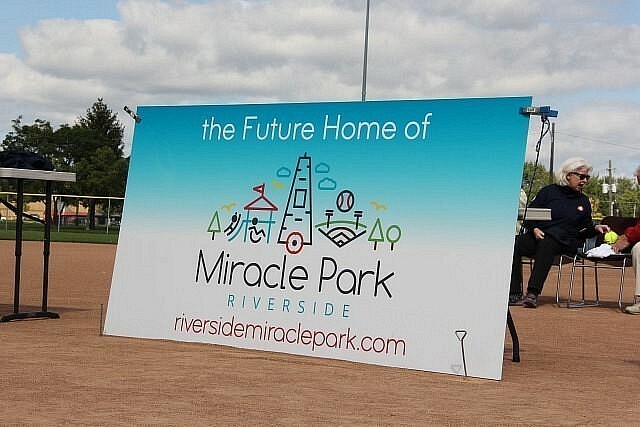 The commitment of Playworld Ontario and Mr. Jones to accessible and inclusive play design fit perfectly with the objectives of the Farrow Riverside Miracle Park,” said Bill Kell, Co-Chair of the Farrow Riverside Miracle Park Steering Committee. Jones has an Accessible Design Certification and has designed specialized inclusive parks for other community organizations, including John McGivney Children’s Centre and Harmony in Action. “I am dedicated to making playgrounds that are playable for everyone, regardless of ability. This design includes many new and custom pieces that will make it a one-of-akind park for everyone. I can’t wait to make our design a reality for the children of Windsor-Essex County,” said Jones. The playground design will be unveiled at the upcoming community fundraising event on June 23rd, 2018 at Riverside Baseball Park. There will be fhree fun and free family events are planned throughout the day, including baseball games from 9:30am to 10:30pm, a classic car show from 10am to 3pm and an outdoor movie (“the Sandlot”) on the diamond at dusk.